Redesigned for this model year. Decent so far. Now has an all-aluminum body. 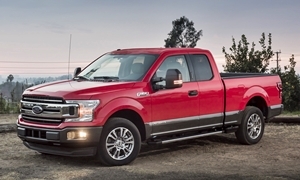 Other Ford models have had corrosion issues with aluminum hoods once they're over four years old. Other sources of Ford F-150 and Chevrolet Silverado 1500 reliability data provide only averages, which can conceal as much as they reveal. So we also report the percentage of Ford F-150s and Chevrolet Silverado 1500s with no repairs at all in the past year and the percentage of Ford F-150s and Chevrolet Silverado 1500s that are lemons (required three or more repair trips in the past year). These figures might surprise you. 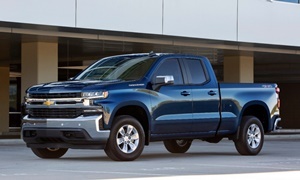 These stats are promptly updated four times a year, to closely track Ford F-150 and Chevrolet Silverado 1500 lemon odds as the cars age. Others can be over a year behind. Only TrueDelta tells you how reliable the Ford F-150 and Chevrolet Silverado 1500 have been recently. 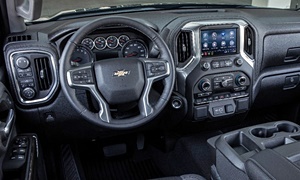 To see how frequently Ford F-150 and Chevrolet Silverado 1500 problems occur, check out our car reliability stats.